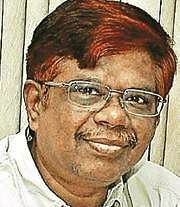 Justice K Chandru is a former judge of the Madras High Court, and answers questions posed by the readers. If the bye-laws are clear regarding contribution towards corpus fund, even for unsold flats, either you can file a civil suit for recovery of the sum required to be paid by the builder or if there is any clause in the Joint Development Agreement for arbitration, you can go for arbitration of the issue involved. Article 47 comes under Part IV of the Constitution providing for Directive Principles for State Policy. They are not specifically enforceable in court and they will govern the State in making laws. Unless there is a people’s movement for total prohibition, the successive state governments will make money both for the state and to fill their own private pockets. The Supreme Court rejected an appeal against Madras High Court’s order demanding total prohibition and one of the judge in the bench told the petitioner “there are more number of road accidents” and asked the petitioner to concentrate on ‘traffic’. If you want to settle the property in favour of your daughters after yours and your wife’s lifetime, you will have to pay stamp duty on the value of the property. If you write a will that will serve the purpose and that will also not attract any capital gains tax. You can file a suit against the managing partner for dissolution of partnership under section 44(d) of the Partnership Act 1932. If the court finds that a partner wilfully or persistently commits breach of agreements relating to the management of the affairs of the firm of the conduct of its business; or otherwise so conducts himself in matters relating to the business that it is not reasonably practicable for the other partners to carry on the business in partnership with him can dissolve the partnership and give your share as per the partnership agreement.